I say nutrition because you can be getting lots of food but very little nutrition as is the case with many people who overcook food, eat excessive amounts of junk and processed foods and over consume alcohol. Then add the nutrition depleting lifestyle factors of stress, over medication and smoking and the bleak reality becomes even more clear. 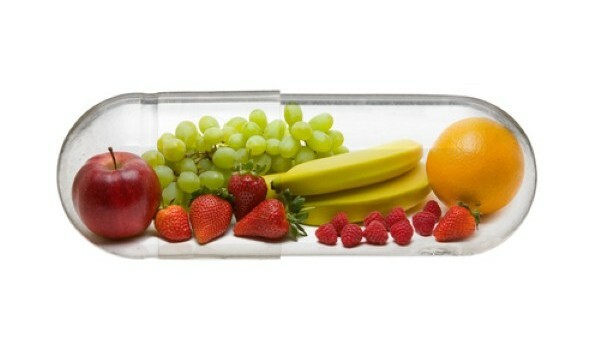 Remember nutrition is the foundation of all your health and everything you are. Your whole body – bones, skin, glands, organs and hormones are continuously being recycled and are built on the nutrition you are getting. Too often we dive for a medicine to try to fix a problem which actually simply has nutritional deficiencies at its root cause. We are therefore never going to solve the problem and can make it worse. We are living in a very deficient society. Many studies show there are 80% deficiencies in nutrients like zinc, potassium, magnesium, chromium, vitamin D and essential fats and that is just the beginning of the story. It would be ideal if you could get all your nutrients from your foods but this is becoming more and more impossible. Food processing, spraying and storage are ensuring that nutrient levels continue to fall while our lifestyles mean demands go up. The gap is becoming bigger. The very first thing that should be done when there is a health problem is to check that basic nutrition is right, not just because this would be the easiest and best solution but nothing else is going to work while a deficiency exists. Below I address some of the most common complaints I come across and I offer some great potential nutritional solutions. An improvement in digestive and liver function greatly helps here. I have had amazing results after 6 weeks with clients who take a probiotic (friendly bacteria) supplement providing the equivalent of 12 billion bacteria taken with 2 x 1200mg lecithin capsules in the morning and repeat the probiotic supplement in the evening but just take 1 x 1200mg lecithin this time. There are a huge range of causes of fatigue but certainly taking a multi vitamin and mineral supplement as recommend above in my special notes can greatly help with the conversion of carbohydrates to energy (one of your prime daily fuel sources). Add 1 seafood kelp tablet and also a sub-lingual (placed under the tongue) supplement of vitamin B12 for even better results. This is one of the worst metabolism disorders of all. You should never stop trying to solve this, Never!! Don’t just mask it over with medications and laxative use. Proper bowel function is at least twice daily! Once again a good probiotic supplement (friendly bacteria) is great, but this time take the equivalent of 24 billion bacteria both morning and evening. Also adding a teaspoon of linseeds to your meals morning and evening and building up to 2 teaspoons morning and evening should greatly help. This is one of the most upsetting conditions of all. Taking 1000mg to 2000mg of L-tryptophan together with a supplement containing about 400mg calcium and 200mg magnesium 60 minutes before bedtime is an amazing and natural solution with no side effects that soothes and calms the system. Sweet dreams and wake with energy! These are so often connected to poor blood sugar levels and a weak digestive system. Try 1500mg L-glutamine with 200mcg chromium picolinate morning and evening. To make this even more effective add a supplement containing close to 500mg vitamin C! There are 3 supplements that greatly help with irritable bowel, diverticulitis and Chron’s disease. Take L-glutamine 1500mg and probiotics providing 24 billion bacteria morning and evening. Add to this a good essential fat supplement containing a ratio of 2:1 omega 3 to omega 6 essential fats for better lubrication and anti-inflammatory benefits and you are guaranteed great improvement! This annoying condition is very often due to a weakness in the walls of your veins and capillaries. If you are not concerned about it from an appearance perspective it is still worth solving because it has implications for your long term health. Try a supplement containing 500mg of time released vitamin C which includes additional bioflavonoids, rutin and hesperidin. Very often this is caused by a faulty digestive system resulting in foul gases escaping back up your digestive tract. Seeing as your digestive system is the starting point of everything you are health wise you certainly need to conquer this condition. A probiotic (friendly bacteria) supplement providing the equivalent of 12 billion with a digestive enzyme supplement taken morning and evening is a real help. Add to this 30 mg zinc daily for even better results. People forget that out thoughts and memories are made up from the nutrients we supply! Yes brain function is dramatically affected by nutrition. Take 250mg daily of phosphatidyl choline with 200mg DMAE and 40mg phosphatidyl serine and you will be amazed with the results. This works for all ages but is especially great for students studying and for older people with memory problems. I just had to put this one in. So many people are living in such an altered state from taking anti-depressant drugs. Why aren’t we prescribing exercise a lot more? A good brisk 2 mile walk 3 times a week is often shown to be far more effective for improving depression than any drugs not to mention the other incredible benefits you get for blood pressure, cholesterol, heart health and weight loss. So come on get out there it is not as hard as you think! However, never change your anti-depression medication without consulting your doctor but you should insist on working towards getting off it and working on natural solutions! 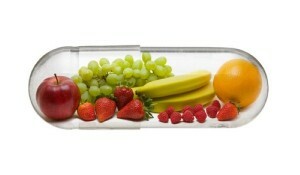 Always take supplements at least 3 hours away from medications. It is vital to review you medication with your doctor if you are trying a supplement solution as often medication can be reduced. Nutrients work together in harmony and balance. Rarely is a deficiency in one nutrient the sole cause of a problem. Therefore taking a good multi vitamin and mineral supplement should be the foundation of any supplement programand then you should add to this the supplements for your condition as recommended below. Always wait 35 days before judging the success of a solution as it can take this time for a deficient nutrient to assert its role in your body again. Never adjust your medication without consulting your doctor. As always I hope you get something useful from this article and please share it with others. Someone making one simple change can lead to big improvements. If you have any questions on the above conditions or another condition please email me at service@system10.ie and I will reply. My system is about real weight loss done the right way! My plan takes into account all the above reasons and more and makes sure weight loss will work for you. Don’t miss my NEW online plan starting soon where you can lose 10+ lbs in 4 weeks or 20+ Ibs in 8 weeks and get an amazing change in shape because it is real weight loss. Click here for more details on these options. Alternatively arrange a one to one consultation in your nearest clinic by clicking here.